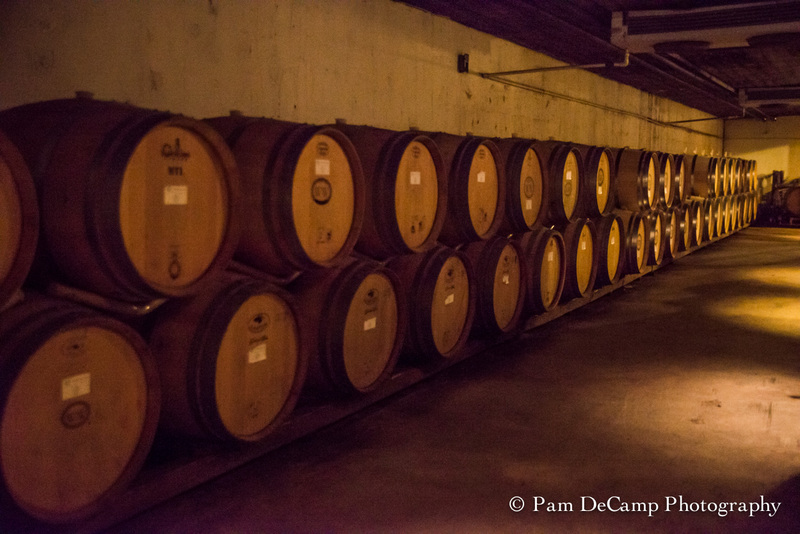 When traveling to the Williamsburg, Virginia or even to the Virginia Beach area, you should add on a stop to the Williamsburg Winery. 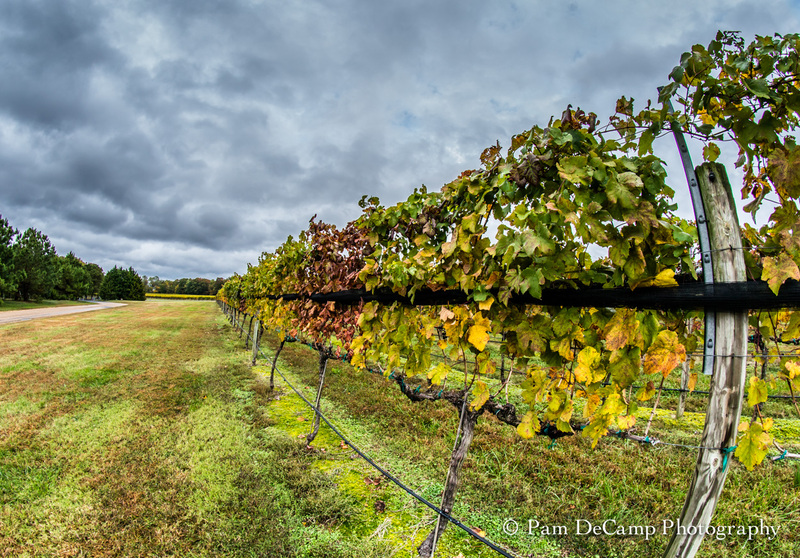 Located on about 300 acres in the Williamsburg area, the driveway into the winery is surrounded by vineyards. 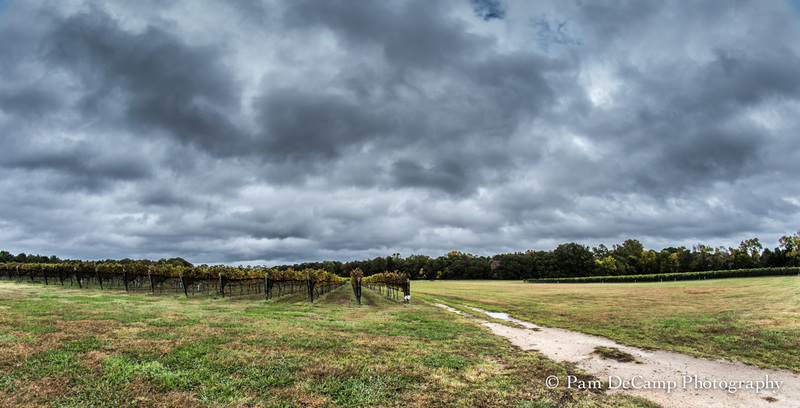 On the day of my visit it was a very cloudy and rainy day…a great day for an indoor activity such as wine tasting! Walking around the gift shop it is difficult not to notice the assortment of awards their wines have received over the years. There were ribbons, metals, and plaques adorning the rooms. This was my first visit to the winery. Our tour guide poked fun at the group I was in because we all had “real” cameras with us! No cell phone photographers in this group! We watched a video on the history of the winery and the wine making process. Our guide led the way into the very large banquet room just off the meeting area. 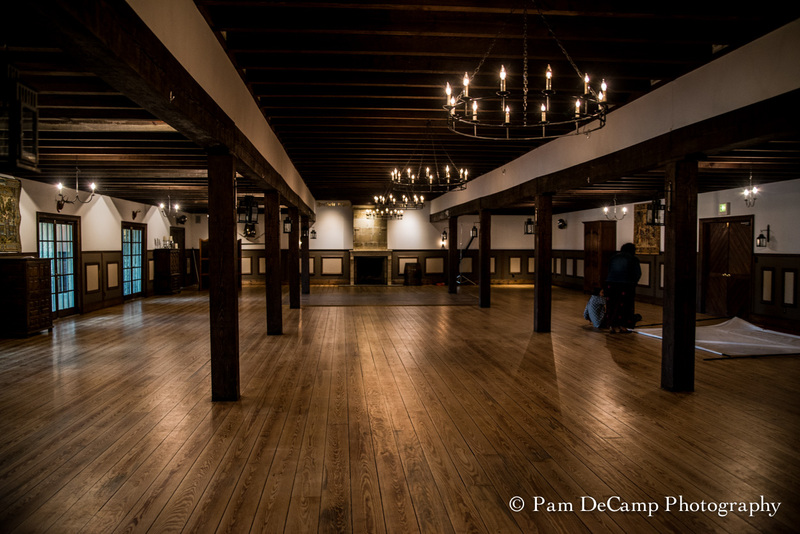 I was impressed with the size of the banquet hall and the winery itself. 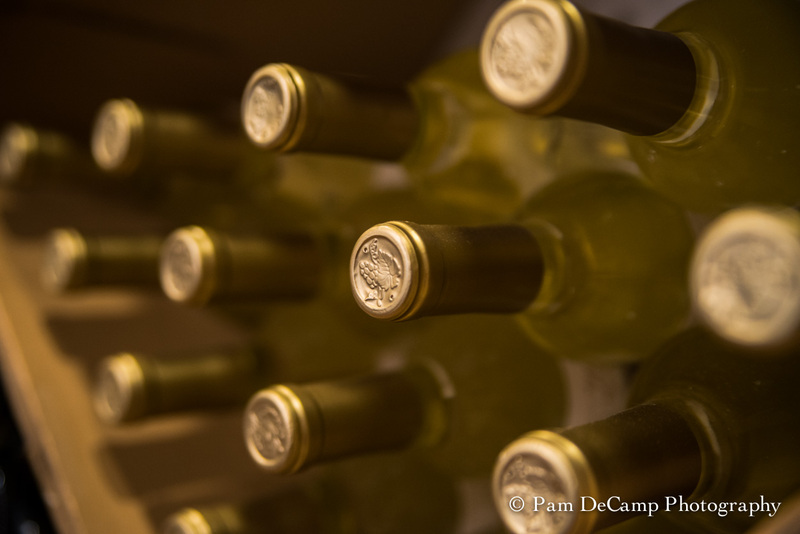 Sometimes “local” wineries are much smaller and produce a product on a smaller scale. Williamsburg definitely has a world class facility to produce a large volume of their product. 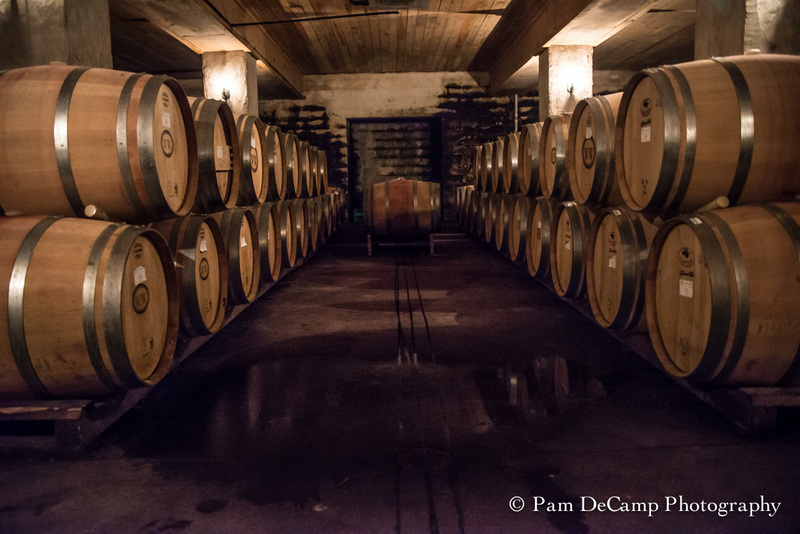 After leaving the banquet hall we made our way into the wine cellar where the wine is stored in oak, stainless steel, or concrete tanks/barrels. Yes, concrete! 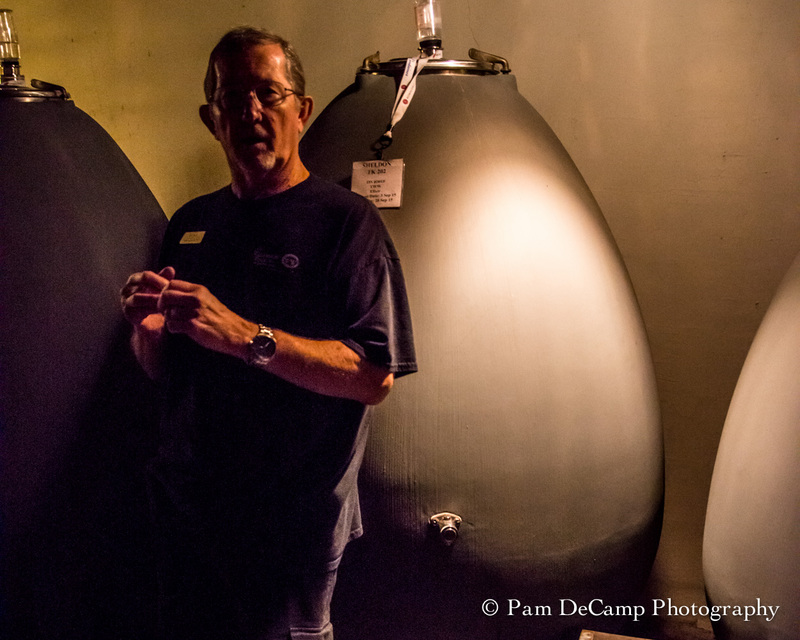 Our guide showed us an egg shaped fermentation tank that they have been using. I can’t remember all of the details but I believe he said it gave the wine a more milder flavor. The oak barrels are used for about 3 batches before they lose their flavor and then those barrels are recycled for flower pots or decorative use. Stainless steel is primarily used for the sweet wines. 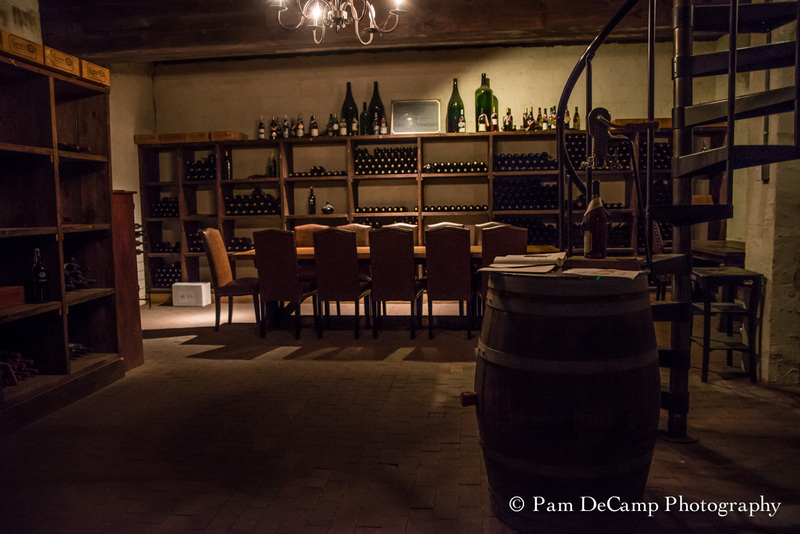 We also went past the private tasting area. I thought it looked very “secretive” like out of a spy movie. We made our way to the tasting room. The James River White was very good. I do like their spiced wine, Settlers’ Spiced Wine for the holidays; heavy on cloves and cinnamon, it will great warmed up with apple cider for a mulled wine. I also liked their sweet dessert wine, Petit Fleur. They give us a taste of the private reserve red wine, Virginia Trianon Cabernet Franc; it was very smooth and a mild wine. I also came home with a bottle of the Virginia Claret; close to a merlot in flavor. I am looking forward to making my spiced wine this winter! It will make the house smell so good! 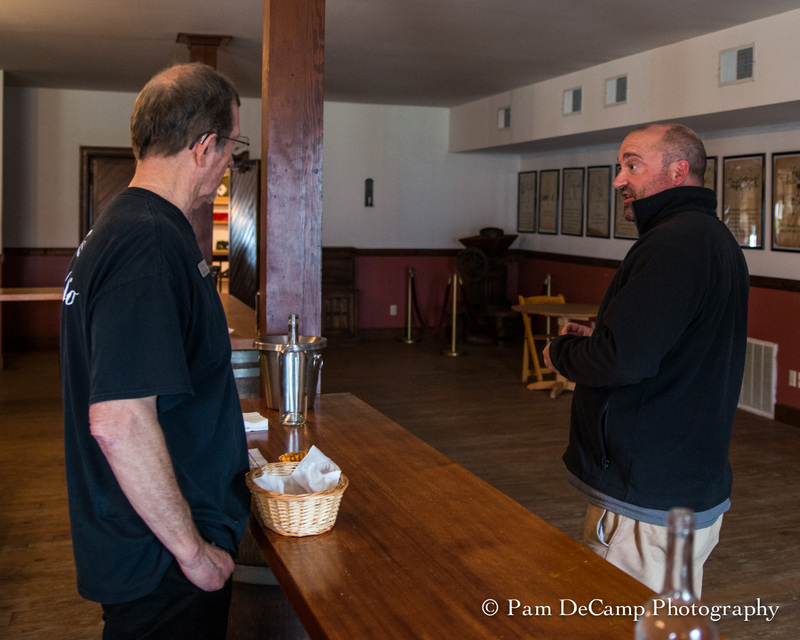 During the tasting, Matthew Meyer, the vice president and winemaker made a visit to the tasting room. Our guide said Matthew travels a great deal and they call him the “traveling winemaker” because he travels around the country to different wineries. He, too, has won many awards for his winemaking skills. 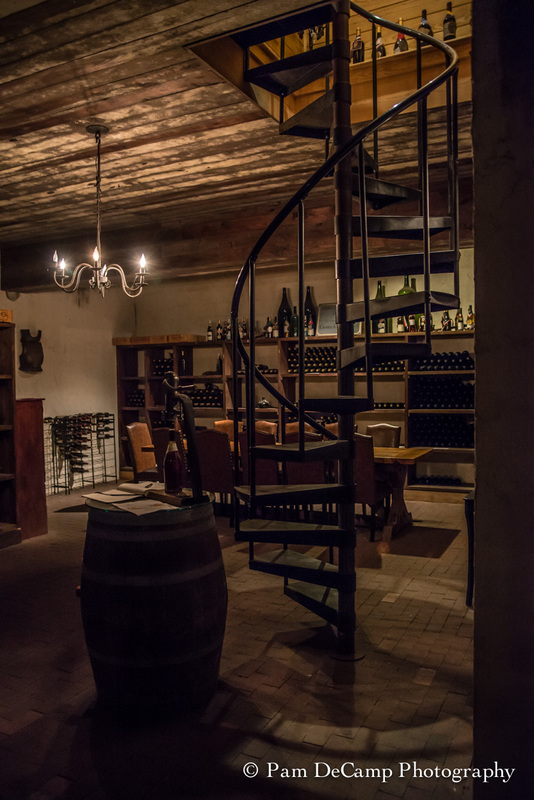 If you enjoy a great glass of wine, the Williamsburg Winery is a perfect stop…especially on a rainy day!